Recently, Mobility Plus Sports Rehab partnered with the Seattle Athletic Club in Downtown Seattle to present a talk regarding lower back pain and what trainers can do to help recognize it and take preliminary steps to address it. 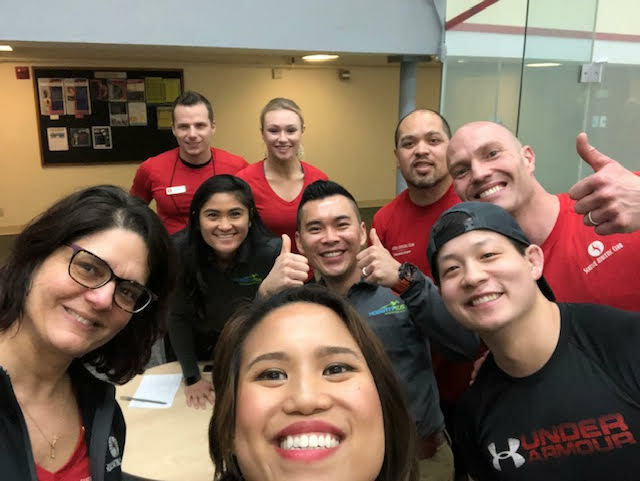 How to better serve clients in the gym and increase retention by adding value to their training. “Non-specific” or “idiopathic” back pain misdiagnosis and how screen a client for directional preference. Community outreach is as important to us as spreading knowledge and expertise to all on how to promote healthier lifestyles. That is why we at Mobility Plus strive to educate and empower those around us. In turn we can create a better environment for all to thrive in both physically and mentally. If you are interested in Mobility Plus Sports Rehab presenting a small wellness talk similar to the one above or on any other topic at your business, please reach out to us! We are dedicated to improving the lives of everyone in the Greater Seattle area, and as we say it in our clinic, to move better to feel better. Low back pain can be a hindrance. If you, or anyone you know is dealing with low back pain contact us and soon you’ll be back to moving better and feeling better.